Engine 55’s quarters at 18140 Joy Rd. A probationary Detroit firefighter was terminated for wrapping a pink bow on a watermelon and giving it to a predominately black fire station as a gift. The bizarre gesture offended many of the firefighters because watermelons have been a racist trope since slave won their emancipation during the Civil War. Southern whites made the fruit a symbol of black laziness, and caricatures of African Americans reveling in watermelon became ubiquitous. The firefighter, 41-year-old Robert Pattison, claims the watermelon was not intended to offend his new co-workers when he handed them the watermelon at Engine 55 at Joy and Southfield. “There is zero tolerance for discriminatory behavior inside the Detroit Fire Department,” Jones told Fox 2 in a statement. 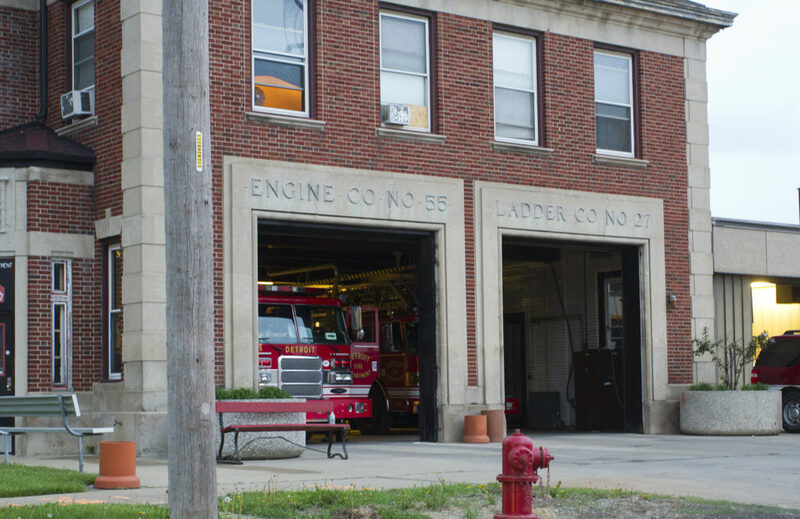 On Saturday, Sept. 30, 2017, at Engine 55, a trial firefighter (probationary employee) engaged in unsatisfactory work behavior which was deemed offensive and racially insensitive to members of the Detroit Fire Department.